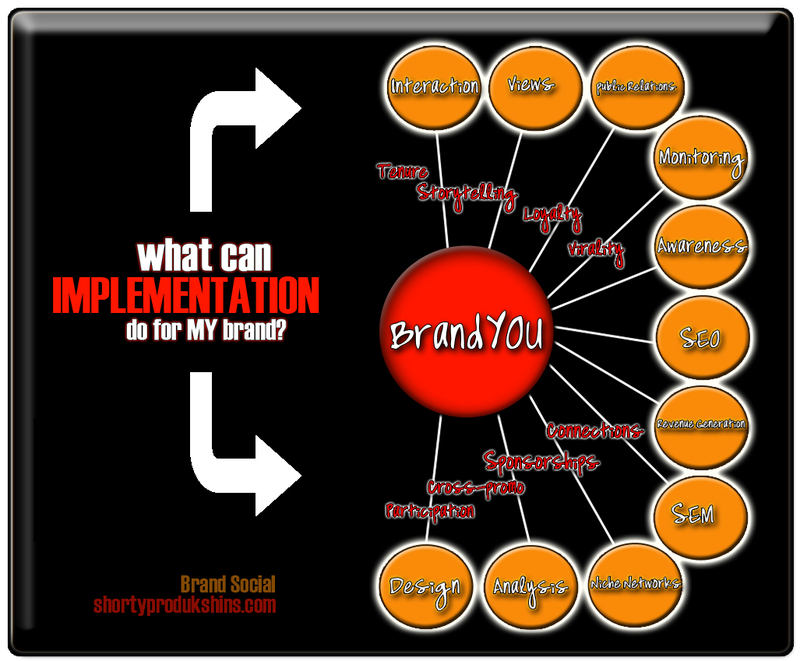 Internet Marketing with BrandYOU: What can implementation mean to me? A few days ago, an article was released speaking on the topic of Social Branding and Internet Marketing’s importance in Web 3.0 and how many businesses, according to a current analysis report, are yet to pay it serious attention. They refuse to place higher budgets on the table in the name of Internet Marketing and Social Branding, in general, let alone as separate items of coverage. While Social Branding is Internet Marketing, each classification can be broken down into smaller sciences. Many of these sciences will actually cut costs for the management end of business budgets and triple ROIs directly. Lack of Social: So Many Businesses are STILL Doing it Wrong! In the review of this information, it is imperative to remind businesses (and even individual business persons) about the “Power of the Brand.” This is what can make or break a business or individual. This is what you have worked your whole life to build. It’s the value others place in your brand. This is BrandYOU. BrandYOU! Yes, this is a very important topic. This topic is often covered on blogs, periodicals, books, educational learning centers, and at business seminars. This topic is the most important one that can be covered, because any action made in the name of a brand is building the character in the minds of the audiences of that brand. Still, people ignore the importance of BrandYOU or creating a positive persona for a brand (if a business). Whether a representative of a brand or in being the actual the brand itself, BRANDYOU can play a major part in your success… “strike that, erase it.” It WILL play THE major role in your lasting success. It will set your brand aside from competition, because BrandYOU isn’t just about Branding. It’s about individualism and unique value propositions between brand and consumer. It’s about quality and integrity. It’s one of the most organic ways of marketing your brand Online and off. While, it doesn’t even have anything specifically to do with Internet Marketing, it can hold powerful results via Social Interaction (reviews, testimonials, statuses, social conversation, etc.). And, that is the problem. People think that indirect or slight correlations are no correlation at all. It’s a concept that seems to be common sense, but some just don’t understand it. Understanding the truth is the greatest thing that could ever happen! That is why it is so important to understand BrandYOU inside and out. Have you ever heard that you need to eat, sleep and dream your business in order to see it take form and thrive? Have you ever considered the fact that YOU are a business? After all, don’t you file taxes? Do you file as an individual, independent contractor, sole proprietor or board member? If you said yes, then technically you just proved that you ARE a business, whether you use your own entity, fictitious name or work for someone else’s brand. The truth is, all of these are brands, And the truth is, you are getting paid to represent that brand… even if you are a “relation” of that brand. Consider yourself extended family, a friend, significant other or whatever. Because you represent that brand (if you aren’t the specific brand), you are an important person in the “life” of that brand as a persona — or fictitious person. As a matter of fact, you are responsible to pay taxes due to your relationship to the brand. The brand’s “corporation” tax is taxed as an individual, because that brand is alive — it acts as an embodiment on its own! Isn’t THAT interesting? So, wouldn’t it be in your best interest to keep THOSE interests at the ultimate peak high point at all times? After all, YOU are investing so much time into the brand and then paying taxes on that time that can never be replaced. Quality customer service needs to be maintained. Reviews and Testimonials can sway the opinions of those who seek to know about a POTENTIAL service provider. Competitors exist and work against competitor brands. What will you do to protect your brand? What will you do to keep the reputation of the brand satisfactory to clients and community? The obvious first step in BrandYou is always to be on your best behaviour. This doesn’t mean that you can’t show your opinion. But, it means to act upon how you would like to be perceived. If your brand represents THIS, then you can display THIS in your actions. I had a conversation with another business owner recently. The conversation was based around her recent activity on Facebook. She tried to apologize for the “recent racy content.” What she didn’t realize, however, that showing a public interest in a subject based upon her role in the community of her target audience will actually allow her brand to be received as a trustworthy persona and build a lasting brand loyalty that will lead to a long enduring tenure of that brand. It basically all boils down to this: CATER TO YOUR AUDIENCES. If you want to be perceived as an individual for hire, then portray the ideal characteristics of the ultimate employee. If you are a business, tend to your community of followers and those that you want to target in “giving them what they want” and do not give them a reason to think otherwise. This means to be consistent, persistent and show interest in that particular characteristic. So, how should you begin to structure your “BrandYOU?” Think of a respectable business person, public figure or entertainer. They all have something about them that stands out, correct? This is something that is overemphasized in creating a character perception of them. This is something that will hold distinct in setting them aside from competition. Now, look at those characteristics that aren’t “front row and center” in their persona. These characteristics do not conflict with the public perception of that brand. Contradictory elements will keep that brand from being accepted, in turn they will more than likely remain unsuccessful. Next, Think of a recording artist that may be perceived as a “thug” or a “boss.” To find out that they were once on the opposite side of the law and never really this “thug” or “boss,” we change our persona of that artist. It just seems fake. True fans will stay loyal. Those are those who really have learned to love the brand’s product and really could care less. But, others have lost respect for that artist. This leads to lower ROIs and less money in our bank accounts. If a Brand Story had originally been formed to related the two “roles” this brand partook in previous to success in the industry, respect may have been gained and inspiration may have been enstilled in audiences. Positive impact on community and definite respect would be gained, in addition to higher ROIs for that brand. It’s all about planning and integrity along the way. Keeping realism within the character of a brand or YOU as an individual (BrandYou) and implementing the archetype you have selected for it, you will keep anyone from doubting your mission, vision or even track record. You may even, in such a case as previously stated, created inspiration and influenced positivity in those who look to your brand for value. Which means, more often what you say will be taken at face value, respected and believed. If you go slightly off track, we know something is wrong. If you go “left” in your action, we start speculating, assuming and looking for discrepancy in ALL actions and statements made by your brand. Your brand will see negative reaction in the process. It all really boils down to the ethics of your brand, professionalism and catering to your audiences. As long as you can be perceived as professional, you are entitled to your opinion. If you feel you will offend someone, start by giving a disclosure and allowing them to understand your point or opinion… how you have gotten to this ideal or interest. If it is a fellow business person, they more than likely will understand already. As a matter of fact, they may reach out to you in liasing to these markets in cross promotion or future campaigns. They may just send you business or point you in the direction of that business, especially since you may not be competition due to the catering of different audience types. Stay true to yourself, your brand, and consistency — Online and off. In the case of Internet Marketing in relationship to BrandYOU, one can excel tremendously. Niche Markets can be targeted and “owned.” Negative reactions to a brand can be combated without any further questions asked. Positive influence can be “watermarked” into consumers minds and agendas. Conversation can influence campaigns organically. Everyone wants to be “friends” with your brand and will tell friends and family about their “new friend.” BrandYOU on the net will bring a dull presence life… and even the life of the party! That being said, let your ROIs gain immediate impact and implement BrandYOU today! This entry was posted in The Vault. | 2003 to 2016 and tagged 2013 March, advice, Brand Story, BrandYou, Business Entities, Competition, ELEMENTS, Industry Advice, INTERNET MARKETING 101, Internet Marketing Blog, Internet Marketing Orlando, Internet Marketing Pittsburgh, Social Network, Story Telling, Storytelling, Teamwork on March 4, 2013 by jessicanabraham. 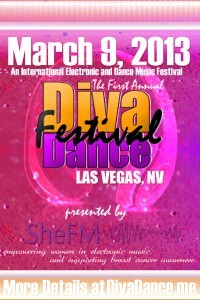 Join us in Vegas on Saturday, March 9, 2013 with venues at The Larry Flynt Hustler Club and The Rumors Las Vegas Resort and make history with Today’s TOP Lady DJs for The First Annual DivaDance Electronic Dance Music Festival and Conference! This is an International event that you don’t want to miss! Check out http://www.divadance.me for more information and ticketing pre-sale discounts! LAS VEGAS, NV. — Women find support and empowerment, globally, through the First Annual DivaDance event in Las Vegas, NV. Releasing the “inner diva” through dance is one way SheFM hopes to strengthen an International family of women on the basis of music, sisterhood and breast cancer awareness. SheFM has been organizing and developing an event that would gather women into a centralized location in bringing hope and empowerment to women who have dealt with breast cancer, through that of a loved one or personal experience. Breast cancer is not something to be taken lightly and is a very serious matter. Because a dark cloud often hovers victims and their families, SheFM has spent these last few years preparing a literal venue that would give back some joy and happiness into these lives and embeds in their hearts a weekend to remember! SheFM now presents to you… DivaDance. In the ongoing support of breast cancer awareness, Garnetta Clark, the visionary behind SheFM, designed DivaDance to engage communities through Electronic Dance Music, a genre that tends to be male dominated, and women in that field go underappreciated. Connecting women with such a high-energy event will help them morally, emotionally, and physically, as vibrations through high-positivity energies, exercise and laughter will strengthen them through these difficult times. At the very least is sure to put all women into good spirits and lead them into having a great experience at DivaDance. With a portion of ticket sales going directly to Breast Cancer Awareness and Research, SheFM has invited some of the TOP names in the World of Electronic Dance Music. As the event caters to women, the entertainment will comprise of mainly female acts. Among these acts are Lady DJs from around the world, spinning and making audience members unable to resist the need to dance and leave all worries in the parking lot. Each year, new female artists perform for the mass fan who migrate to Metropolitan Areas, such as Chicago and Las Vegas, from all parts of the world. Additionally, SheFM© will nominate the DJ of that prospective year, as well as the “Producer of the Year,” “Label of the Year,” and the up and coming talent to watch! That being said, SheFM welcomes everyone in support of Breast Cancer Awareness and who love Electronic Music, to join in the festivities in Las Vegas, NV on March 9-10. Two days of conferences, music, competitions, networking, meet-and-greets and more will be well worth the travel for international guests. The set venues are Rumor: Las Vegas, an elite resort setting, and The Larry Flynt Hustler Club, a reason to “love our boobies.” Both venues promise to be in good taste to all audience members, young and old. DivaDance is an International Music Festival dedicated to the empowerment of Women in Electronic Dance Music and ongoing support of Breast Cancer Awareness. The event is to be presented on an annual basis with this edition as the commencement of decades to come. Introducing you to the DivaDance annual event, the founder, Garnetta Clark, has always wanted to make a difference in the lives of all women around the globe. In discovering the two aspects of life that were “near and dear” to her, music and Breast Cancer Awareness, she began in the creation of SheFM and DivaDance. Music has always been Garnetta’s passion, even at the mere age of 7. Since then, Garnetta has always wanted to create an event that would forever and positively impact people’s lives — and particularly women. Hence, DIVA DANCE came to life! DivaDance is an annual music festival that promotes, markets, and showcases female electronic dance music talent from all across the globe. Each year, new female artists perform for the mass fan who migrate to Metropolitan Areas, such as Chicago and Las Vegas, from all parts of the world. Additionally, SheFM© will nominate the DJ of that prospective year, as well as the “Producer of the Year,” “Label of the Year,” and the up and coming talent to watch! SheFM is an Online radio station, established in 2010, that focuses on the Women of Electronic Dance Music around the world. Creator Garnetta Clark had long realized the lack of support and empowerment of women in this particular genre and decided it was time to roll up her sleeves and make something happen for the World of Electronic Dance and the women in it. She can especially relate to the many “lady DJs” that rarely get the opportunity to shine and become recognized in a male dominated world. The SheFM Station was the solution to this problem. This entry was posted in The Vault. | 2003 to 2016, Uncategorized and tagged 2013 February, 2013 March, Announcements, Artists, Brand Story, Collaboration, Competition, Conference, DivaDance, DJ Clove, DJ Divina, DJ Lena, DJs, Events, Garnetta Clark, Heather Suzanne, Industry Advice, Lisa Silver, Melanie Sutherland, Mindy J, Music Festival, Must See, New Releases, Panel, Persephone DubQueen, Press Release, Producers, Rising Stars, Rissa Garcia, SheFM, Storytelling, Video on February 4, 2013 by jessicanabraham. Contest: WIN $1000 THROUGH A COLLABORATION WITH GRAMMY-WINNING RICCO LUMPKINS! “I will pay you $1000 for your musical talent once you win! Most people will overlook this; so that makes your chances of winning better. If you don’t do music, PLEASE, share this link to someone you know who can WIN!!! !Grand Prize wins $1000, 2nd Place wins a brand new Maschine MK II by Native Instruments (compliments of Vet Boi Music Group), 3rd Place wins brand new Beats by Dre Wireless Headphones (compliments of Vet Boi Music Group)!!! Mention invitation by Shorty Produkshins while you’re at it! “Grammy Award winner Ricco Lumpkins is one of the hottest producers and engineers in Chicago. When he’s not working in Atlanta, LA, NY, Miami, he rolls up his sleeves and shows students how its done for real. Ricco knows how to get that pro sound like know one else. He’s definitely one of the instructors that you need to know. ” – Music Industry Workshop. This entry was posted in The Vault. | 2003 to 2016 and tagged 2013 January, Artists, Collaboration, Competition, Contest, DJs, Engineers, Get your music heard, Giveaway, New Releases, Pitch, Producers, Product Review, Ricco Lumpkins, Rising Stars, Teamwork, The Grammys, The Recording Academy, Video, Viral Marketing on January 29, 2013 by jessicanabraham.